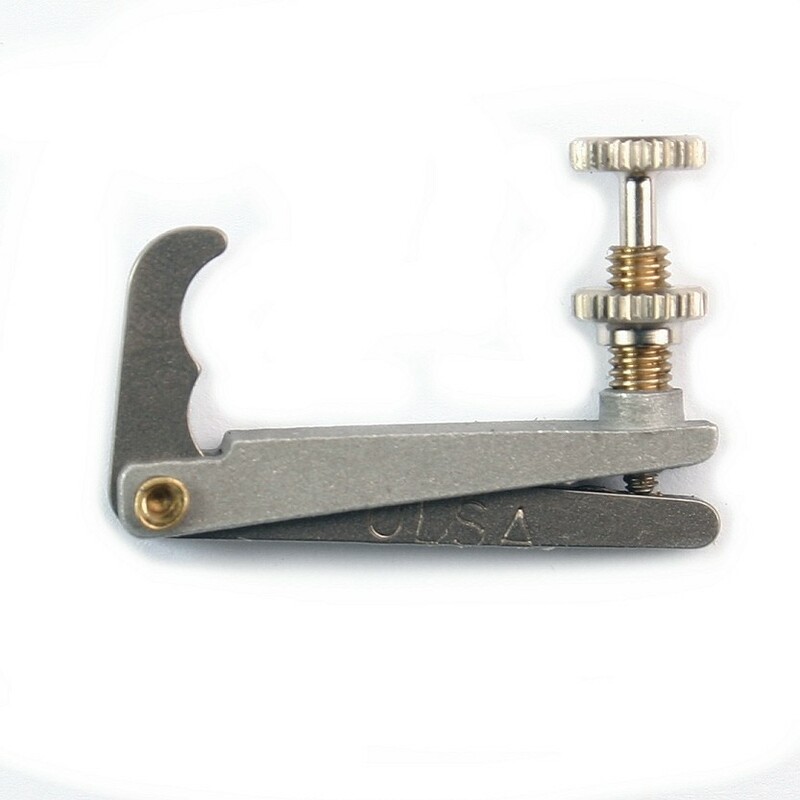 Super lightweight titanium tuner for violin for viola. Titanium is a better conductor for sound-waves, thus helping the instrument respond quicker. Only 2,4 grams, half the weight of standard tuners. Innovative development using modern manufacturing methods and materials. The high-end product for demanding violinists. The adjuster was made entirely of titanium. Titanium is suitable because of its resonance properties and its extremely low weight combined with high strength ideal for this application. The undeniable sound advantages of titanium were impressively confirmed in several countries in extensive testing of universities. The weight advantage over conventional fine tuners are above 60%. The Titan Adjusters improves resonance properties of the string and the sound. The intricate and finely mechanically perfect design, is combined in a harmonious interaction with artistic design of the violin.